“The New York Times” recently installed the Innotech Panorama System on two of its Goss Colorliner Presses. The systems were custom designed by Innotech, working together with Goss International to give the Times greater versatility of ad formats. 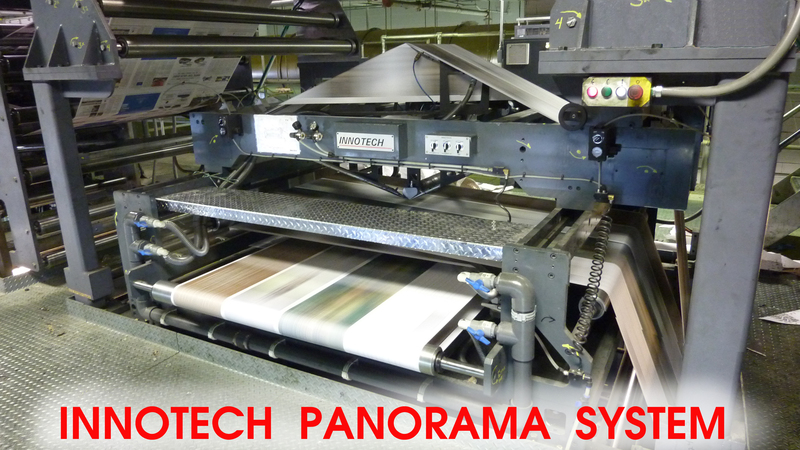 Panorama systems were configured to produce 4 page wide centerfolds as well as gatefolds on the cover pages. Other formats include ‘double door’ format, in which two half page gatefolds create the effect of opening double door. Both systems became operational in October 2014. The Panorama System now running at the New York Times enables the Goss Colorliner press to produce a four-page wide centerfold or a separate 8 page pull-out section. In addition, it is possible to make smaller gatefolds or coupon folds at one or both edges for special promotions providing new display areas for advertisers. It is also possible to make gatefolds in the Cover page or have the gate folded section as wrap around the main section. With this installation, Innotech has now installed 12 Panorama Systems at seven plants in five countries, making Innotech the world leader in this field. Other newspapers running Panorama systems are ‘El Tiempo’ in Columbia, ‘The Hindu’ in three plants in India, The Xian Daily in China and Schenkelberg Weimar in Germany, which prints several regional newspapers.